Description: "Coecles Harbor is located on the eastern section of Shelter Island. While the northern shoreline is scattered with many beautiful homes, the southern shore line is completely undeveloped and part of Mashomack Nature Preserve. 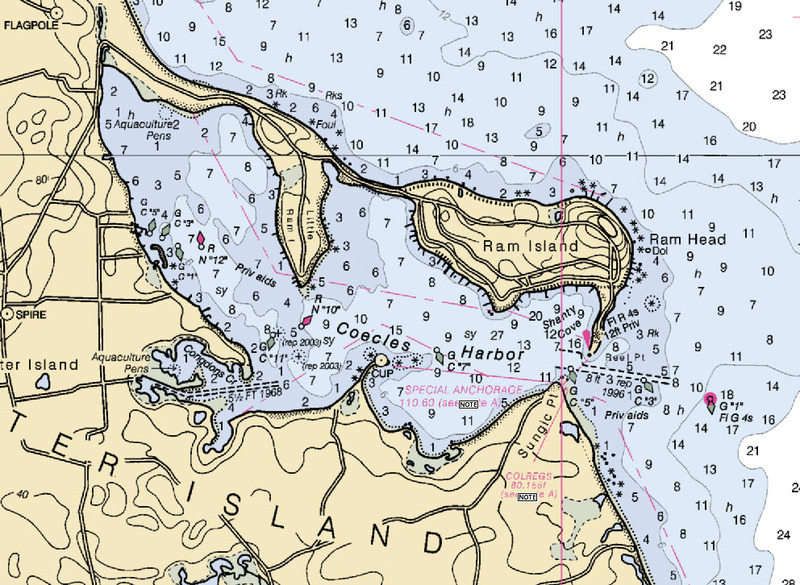 Coecles Harbor is one of the most protected harbors on the east end." The Anchorage is immediately on the left as you enter Coecoes Harbor. Go easy as you enter the harbor, there is only enough room for one boat at a time. 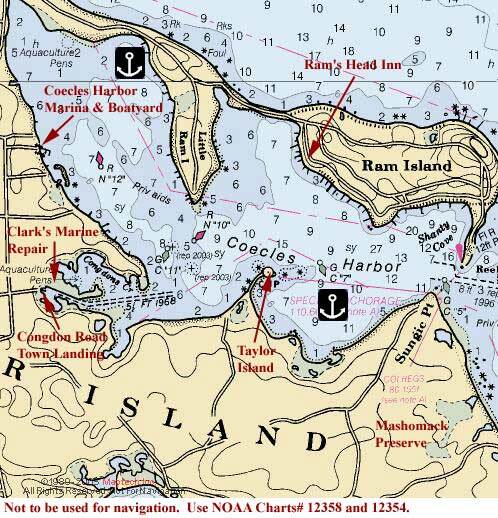 NOTE: the anchorage is well marked, and the local officials will patrol to be sure you are inside the markers! Things to do in Coecles Harbor from OspreyGuide.